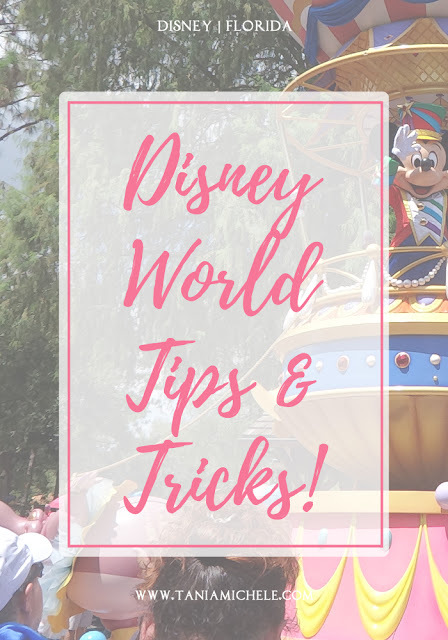 Tania Michele: Disney World Florida Tips & Tricks! 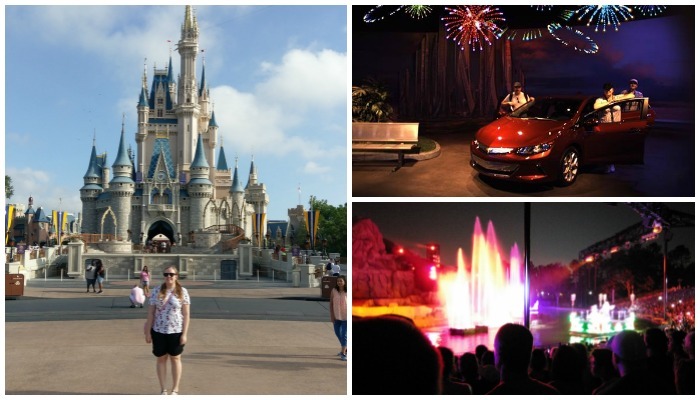 Back in December, I shared my fave Disney World Florida attractions, and I wish I could have mentioned them all, but those were the faves - even though the list is long already! I visited back in September for my birthday, and we spent 8 days, and 3 nights at the parks, so we got to do about 80% of what was there, excluding children's only attractions. 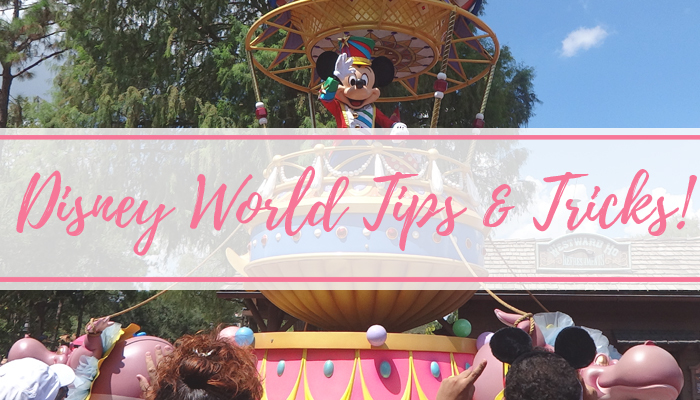 Today, I thought I'd share some tips I picked up during my visit to Magic Kingdom, Animal Kingdom, Epcot, Hollywood Studios, and Disney Springs! We knew about these before we left, but I had trouble tracking them down in the stores - and the day we went, Magic Kingdom was HEAVING with people at the customer services, soooo, where did we find ours? Most of the stores have them, but we got ours from the Froniter Trading Post, near the Country Bear Jamboree. The lovely Savannah let us all have the first time badge - PLUS, I got a birthday badge too, for my 25th. You can also get ones for anniversaries, celebrations, and family reunion. Just grab a marker and write what you want on it for a personal touch. I cannot stress this enough to you all. I know this is repeated in 99% of tips and tricks posts, but this REALLY helps your day. Our first day at Magic Kingdom, we spent just over 6 hours there, and we got all of Tomorrowland, Adventureland, and Frontierland checked off our list. Plus, a few other rides here and there we were able to get on. There were a few we skipped due to being aimed at kids, but we managed all of this, plus food and a parade in that first day. 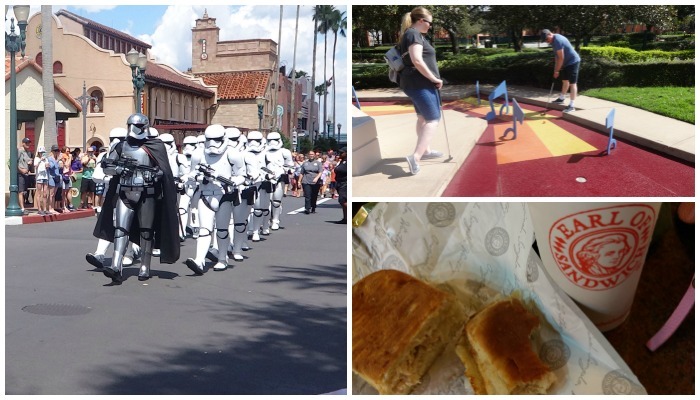 Plus, early means way lower crowds than lunchtime, and most attractions were walk ons. The new in-built add on for your park tickets in the FastPass+. You'll need the My Disney app for this to work, or you can use a FastPass+ booth at the parks. This means that if you stay on Disney property for your holiday, you can pick 3 rides to get a fastpass for, per day. If you're offsite, like us, then it's 30 days in advance. Due to the fastpasses, we managed to get on loads of rides. And once all 3 are used, you can pick and 4th. At the end of Test Track in Epcot, there is a whole Chevrolet design studio for you to play in. You can race cars, design them, create adverts for them, etc. There's even a showroom for some new models of the make. BUT, my fave thing is the car picture booths. 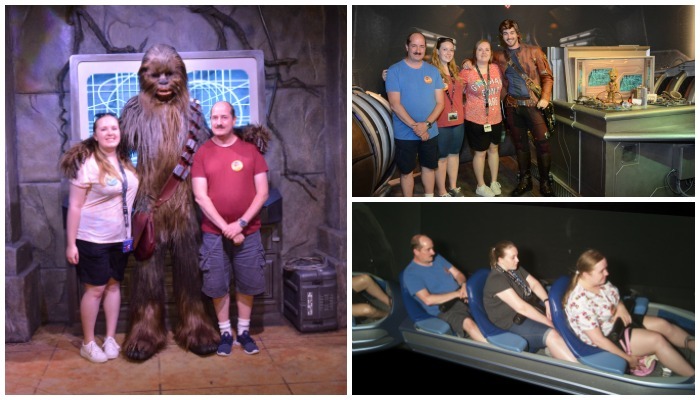 There were 4 cars set up before a camera that you access with your Magic Band or park ticket, and then you get into poses for 3 pictures. These are then saved to your memory maker if you have it. So Memory Maker is an addition add on you can purchase for $169 per person, to be added to the park tickets/magic band. This means you can get the Photopass photographers to take your pictures and this saves to your ticket, so you can have them on your phone, or print them out later. If you don't have Memory Maker, it just means buying each picture individually which can be pricey. You can then save your pictures from the rides, meet characters and get to keep the pictures for later. These last for a month on the app before being deleted, so it's wise to download these at the end of each day to your device for safe keeping. 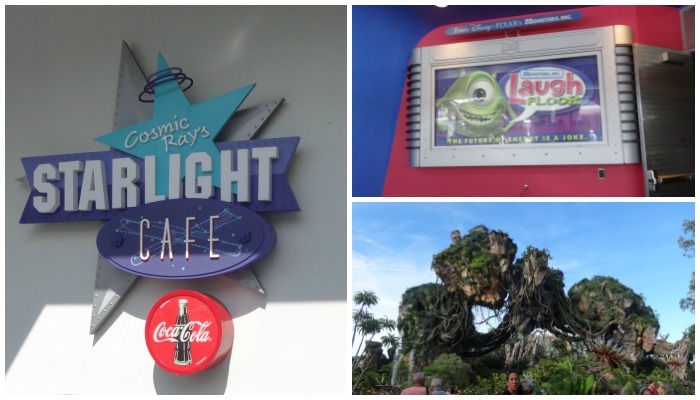 This is in Tomorrowland, just opposite the Speedway. This is a fast food location, and though it was around $50 for the three of us to eat, it has a beautiful view of the castle from inside. We managed to snag a table by the window both times we visited, and it was a perfect spot for a bite and a beautiful view. This didn't have a massive queue when we went, but it was so worth it. It's a digital performance with audience participation. The animation on the screen is all live and so is what all the character say. You may be picked on to be on the big screen, or to speak, so if you're not sure you want to possibly take part, then give this a skip. If you go to any quick service location and ask them for a free cup of ice water, then you're saving pennies. I personally didn't do this, but I saw a load of other people asking for this at Peco Bills and in the Starlight cafe, and they didn't have to pay for it! A free way to keep hydrated in the heat is a brilliant idea. No matter how hard I tried, I could not get a fastpass for this ride, so we thought we would try and queue up on the day. Oh no. Both times we went to Animal Kingdom, the line for this was between 4-6 hours. HOURS. I'd wait an hour maximum for a ride, so this was a no-go for us. If you're happy to wait, this is roughly the wait time you will be waiting for! Hopefully when Toy Story Land opens this year in Hollywood Studios, more people will head there, and Flight of Passage's queue times will drop. Meet Star Lord & Baby Groot! This may move soon, but this wasn't so well signed, so you may miss this without knowing it's there! At the back of the One Man's Dream walk through attraction, there is a small area where you can get to meet Star Lord and Baby Groot! This had a wait time of 20 minutes when we stumbled upon it, so this was a nice surprise meet and greet! In Disney Springs, there are loads of places to eat, but this location is a fave of mine. It's almost like a Subway, so if you're after a snack or a filling dinner, then this is the place to go. You can get healthy items, as well as mini pizza's and small sandwiches. This is at the far end of DS, over by Pin Traders and Bibbidi Bobbidi Boutique. With your Disney tickets, you get a free game of Mini Gold at Fantasia Gardens everyday between a certain time frame. This is a great attraction for an hour or so, and it's where we went on the day we flew home. This was a fun and relaxing hour of mini golf in the sunshine before going home. If you need somewhere to waste an hour, or if you really like Mini Golf, then this is a great place to go. This march is on every hour between 10am and 3pm - however 1pm is excluded from this. Captain Phasma, from the newest set of Star Wars movies, leads her team of Stormtroopers up Hollywood Boulevard and onto the center stage before the Chinese theater, demonstrating the First Order’s skill set. This is well worth a watch for all Star Wars fans!